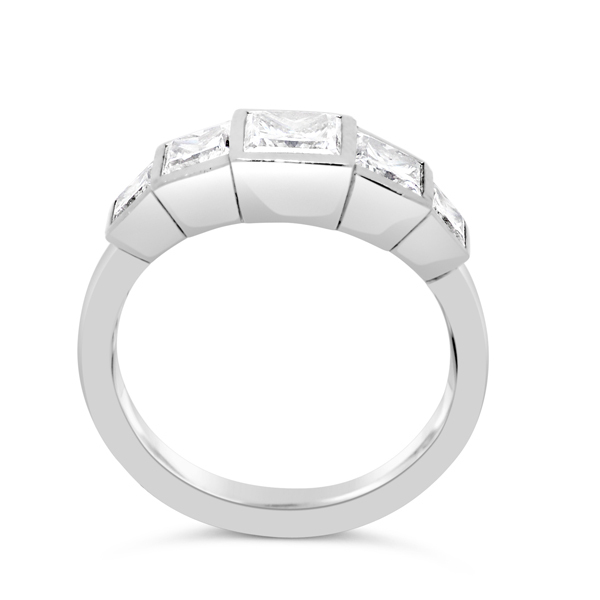 A contemporary take on an Art Deco Engagement ring. 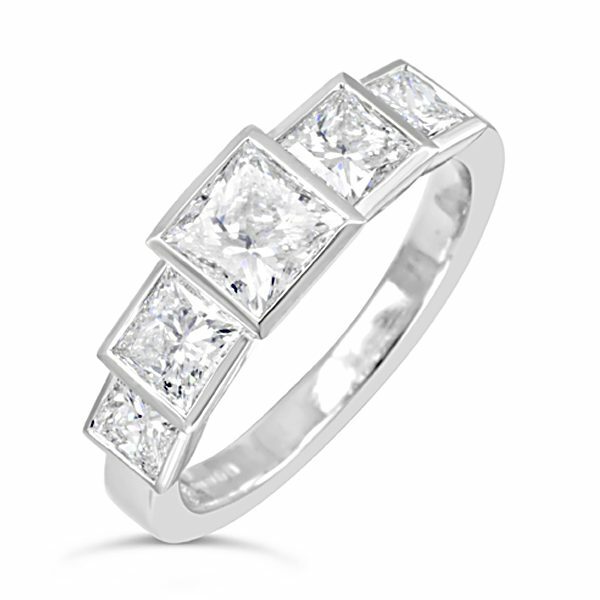 A platinum shank with GIA certified princess cut diamonds set in platinum rub over settings. 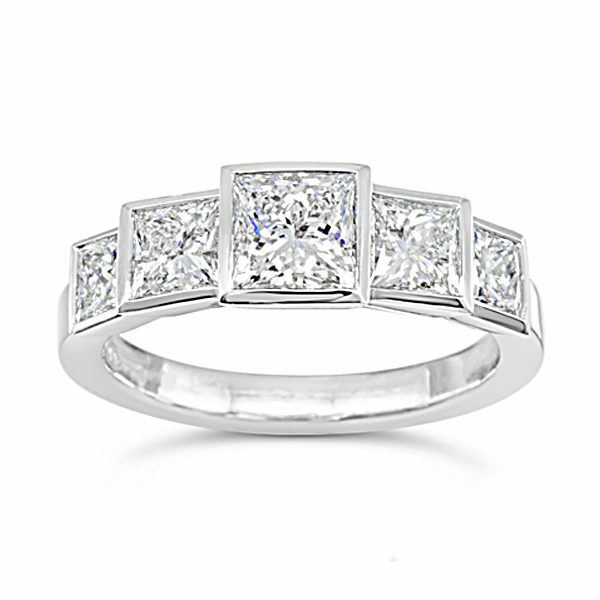 The centre diamond is 1ct with two 0.5ct and two 0.38ct diamonds set either side. 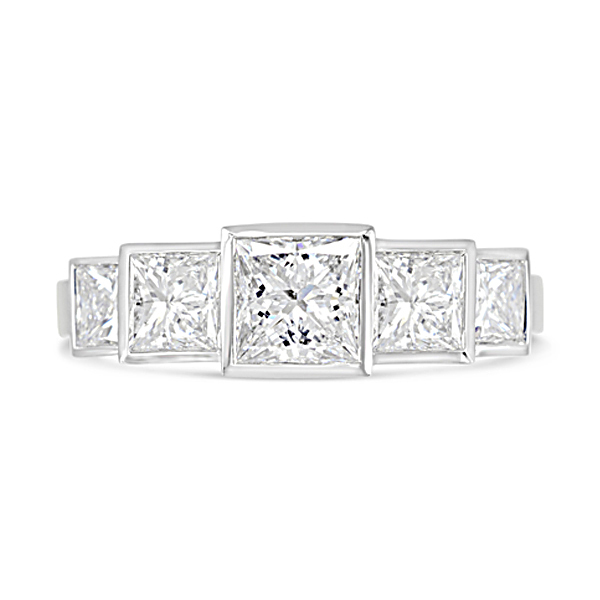 The unusual stepped taper settings gives the engagement ring an Art Deco feel. Other metals, diamond sizes and coloured stone centres are available to meet most budgets. 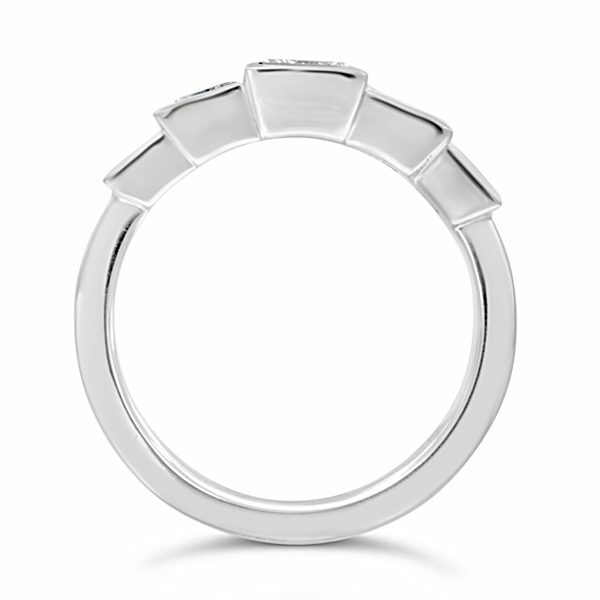 The ring will be Hand made for you in our Ditchling workshops.